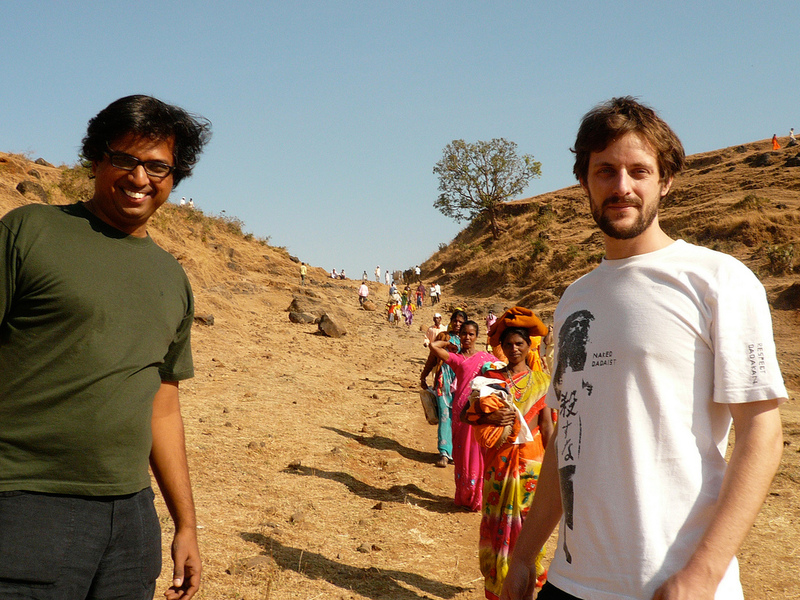 Urbanologist, co-creator of the urbz collective in Mumbai and Geneva, always up for new adventures. Matias Echanove co-created urbz with Rahul Srivastava. He spends most of his time in Mumbai and Geneva, and always likes to discover new places and people. Currently obsessed with new models of participatory governance and institution building, Matias has developed an expertise in the organization of participatory design workshops over years of work at urbz. He is particularly interested in urban and economic development, mobility and culture. His work with urbz has been exhibited around the world in biennials and museums such as the MoMA (NY), the MAXXI (Rome), the MAK (Vienna), the Istanbul Design Biennial,the Chicago Architecture Biennial, and the Sao Paulo Cultural Center. He is currently working on a new exhibition at the Bhau Daji Lad Museum in Mumbai. Matias and Rahul have been invited to present their work at institutions such as the Swiss Architecture Museum in Basel, Columbia University, NYU, Princeton, Berkeley, Strelka Institute, the Max Planck Institute and the World Bank, as well as forums such as TEDx, Urban Age. Matias studied government and economics at the London School of Economics, urban planning at Columbia University in New York and urban information systems at the University of Tokyo. He is a regular contributor to publications such as The Hindu, The New York Times, The Guardian, The Wall Street Journal, Domus, Art India and has published a number of essays with Oxford University Press, Strelka Press, Domus (Milan), Tokyo University Press, The Hindu, The Times of India, Time Out Mumbai, and Indian Architect and Builder among others.